December can be dark and dreary in Michigan and other northern places, a season of cold and clouds and final exams. The holidays we celebrate during this time bring warmth and light we often badly need. But if we’re weary or chilled, in body or soul, how do we get in the spirit? When I was a child, if I wanted a dollop of condensed Christmas cheer, I’d often crack open a large hardback volume, bound in red fabric, that my mother gave to me. I forget its exact name, but something like A Christmas Treasury. This book collected scraps from longer texts and stand-alone pieces. They were old and new; funny and sad; earnest and cynical; poetry, lyric, and prose. They shared only one element: Christmas. Sometimes I paged through this volume in search of the familiar, and found Christmas gift-giving chapters from children’s books my parents had read to me, like Anne of Green Gables and The Five Little Peppers and How They Grew. Not everything that warms my heart at this season is found in that old red tome, though. 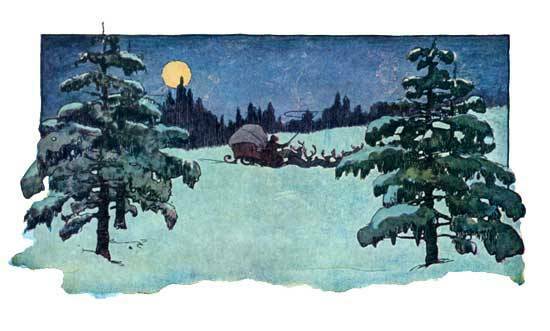 Nothing, for instance, could be warmer or more wonderful than the chapter “Dulce Domum” from Kenneth Grahame’s The Wind in the Willows, when the Mole, who has been living an exciting life abroad, finds himself by his own snug burrow again just in time to welcome caroling field mice. Good food, hot drinks, and song: how is it that even reading about these lifts the spirits so? Perhaps next December, we can convince Doc Hemenway to reprise this reading with the Hope community. For now, we wish you safe travels, good reading, and good cheer! Thank you, English Department. Merry Christmas (and a restful break) to you all!